DJI Mavic Pro Review - is this the drone to buy in 2019? If you’ve been around drones for a while, you’ll know that DJI is serious about drones. The DJI Mavic Pro is the next drone to be released in the line up of phenomenal drones released by this company. In this DJI Mavic Pro Review, we’ll show you how the awesome people behind DJI have taken a leap forward with the Mavic Pro. Although the drone is physically smaller than the DJI Phantom Series (the Mavic is half the size of the Phantom!) or the DJI Inspire series, this drone can do much more than these two models. The DJI Mavic Pro is compact, portable, but doesn’t sacrifice any of the performance that the DJI drones are so known for. In this DJI Mavic Pro Review, we’re going to give you the low-down on this drone and whether we believe you should be investing in this drone. Of course, besides its performance and size, this drone has an excellent high-definition 4K camera, which makes it an excellent piece of equipment for those looking to capture such stuff as action sports. What does the DJI Mavic Pro look like? So what are the DJI Mavic Pro specifications? How does the DJI Mavic Pro manage to be so compact? A smaller version of the Phantom’s camera and gimbal – frame your face for a selfie! For how long can I fly the Mavic Pro? Surely the DJI Mavic Pro must have some problems right? 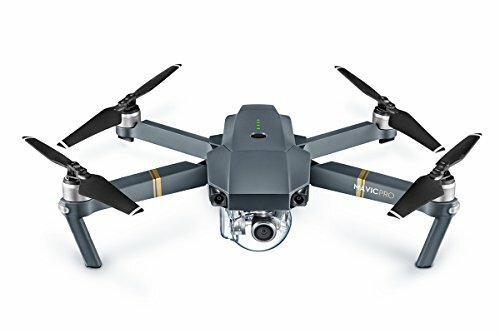 What’s the Mavic Pro price? Where can I buy the DJI Mavic Pro? Concluding – is the DJI Mavic Drone the gadget to buy in 2018? First things first in this DJI Mavic Pro review – you’ll have to see what the Mavic Pro looks like. As has been the trend with most drone manufacturers, each drone model which is getting released tends to be smaller, more compact and more portable than previous models. We know, our website has been featuring drones for a while! Of course, the Mavic Pro keeps up with that trend and is about half the size of the DJI Phantom series. In terms of its actual shape, in our opinion, the Mavic is very crab-like/insectile in it looks. Really and truly, if we had to describe it in a few words, it looks like a large robotic, futuristic high-tech crab. Or maybe, it gives quite a resemblance to an insectile robot. For sure, it looks awesome. So the above is what it looks like it all its glory. Yet, there’s another look which the DJI Mavic Pro can take … the compact, portable view. As you can see, it’s so compact when it is folded for transportation, that it can literally fit in your hand. You can find the full specifications here, but we wanted to highlight a few of them in our DJI Mavic Pro Review – the ones which really stand out. The one thing we want to highlight of course is the actual physical dimensions of the drone. As you can see, the drones dimensions (folded) are unreal. It’s just 8.3cm in height by 8.3cm in width and just under 20cm in length. As you probably know, carrying a drone typically requires a large backpack to actually carry it in, without doing any damage. This drone, on the other hand, is so small, you can quite literally carry it in your backpack, rather than have one specifically for it. To complement the actual physical small size of the drone, you can see that the drone weighs under 750 grams. If you had to compare this to something we use every day, an iPhone 7 Plus, weights 188 grams. A small iPad weights 437 grams. The MacBook Air, on the other hand, weighs in at around 1.34 kilograms. Let’s put it in a perspective which is actually closer to home. The Canon 5D SLR body (without the lens) weighs in at a hefty 810g. I’m sure you can see why the size and weight feel so tiny. We’ll also show you in a moment, that the camera specs also pack a nice punch. That means that our awesome drone sits in very nicely with anybody who is used to carrying a few gadgets around. Recommended Reading: Which Are the 5 Best Drone Kits from Amazon (2018)? You’ll also notice that the flight time is amazing for something so small and with such great performance. Achieving such good specs, without sacrificing battery life, is no small feat. The DJI Mavic Pro has managed to pull this off really nicely. That’s quite a bit of drone power we’ve got there given the size of this thing. The camera specs are also great, in spite of how small the whole package is. One can’t argue that the built-in camera wouldn’t be able to shoot excellent photography or videos. The 4K video recording modes are quite nice. More than that though, if you had to go for the more common video shooting mode of Full HD, you can get a really great frame rate. Now, the real difference with the DJI Mavic Pro is the combination of both size and great camera specs. If you’ve had some experience with mini-drones, you’ll know that making small drones is not something out of this world. On the other hand, making a small drone, with excellent specification IS something to talk about. The DJI Mavic Pro has achieved a perfect balance between small size, portability, compactness, whilst still providing the excellent camera and performance specifications such that this is not just a toy, but a really great piece of photography and videography equipment. Of course, specs are great on paper, but are there some video samples we could see taken from the DJI Mavic Pro? There are quite some good video samples here. The trick, of course, lies in its very particular design and manufacturing. It’s four wings can actually fold beneath the body, whilst the rotors are also able to fold in half. That makes it very easy to slip everything into the sides of the body, with nothing protruding beyond the edge of the DJI Mavic Pro’s body. In terms of the rotors, this is actually great, because you don’t need to detach them when you are traveling as is the case with most other serious drones. Next on our DJI Mavic Pro review is the controller and flying the drone. The remote of the Mavic Pro is roughly the size of a regular smartphone, in fact, it’s quite comparable to the size of the iPhone 6. A particular difference in the DJI Mavic Pro remote is that unlike its other drones, this has one has a built-in screen. This means that you’ll be able to see all of the telemetry necessary for flying the drone safely, without having to connect or fly it with the app, as with other drones from DJI, such as the DJI Phantom 3. Distance, altitude, direction are all available on the screen. There are warning tones and haptic feedback (the remote vibrates slightly like when performing a mobile keypress) when the drone senses high winds or senses it’s going too far from its home location. If you’re not a fan of using remote controllers or have gotten used to flying other drones which you may own through their smartphone app, the Mavic Pro also has full control capabilities via its app. You simply need to flick a switch on the body of the drone and you switch from radio control mode to Wifi mode. This, of course, will limit your range a little bit, since the Wifi signal is not as strong as the radio signal. Controlling the Mavic Pro with the app It also takes away quite a bit of the fine-tuned controls you would have with the remote. Of course, the DJI Mavic Pro also allows you to get the best of both worlds. You can hook your phone onto the bottom of the remote. This way, your phone will be streaming a live video feed. You’ll also have access to the full camera settings and be able to use the autonomous modes. At the same time, you still have the fine control through the actual remote. Although the Mavic Pro is quite different from the Phantom drones series, it does share quite a few features with it. Essentially, DJI has taken the great features of the Phantom – incorporated them into the Mavic Pro, essentially making all of the package much better. The Mavic Pro and the Phantom share the downward-facing optical flow sensors – which are essentially the eyes of the drone. Using its optical sensors, the Mavic can stabilize itself. It’s able to hover very steadily, even in low wind speeds. Hovering is able possible indoors by using a new feature called Optical Flow, which allows it to keep a steady hovering position even indoors (where there is no GPD signal). Just like with everything else, the DJI Mavic Pro, it shares the camera and gimbal from the Phantom, only a smaller version of course. That means that the camera sensors is the same, giving it the ability to shooting 12MP photos and 4K video. Besides the camera, a similar feature to the Phantom 4 is the front (forward-facing) optical sensors. This allows it to autonomously avoid crashes. The sensor is also great because it gives the Mavic Pro gesture control features. Frame your face if you want to get a selfie from mid-air, or wave your arms to bring the drone to you. Point in a specific direction and the Mavic Pro will obey your orders. Quite a fun feature to play with. The way that the camera focuses on is quite particular. Rather than doing what Phantom drones do and focus automatically, (with the disadvantage that you can’t focus on something in particular), the Mavic Pro camera requires you to actually chose the subject you want to focus on. So if you’ve seen any comments saying the footage is blurry, this is because you need to choose where you want to focus. For example, Wired Magazine actually got it wrong and had said the Mavic Pro has a garbage camera. Despite the compact size, the Mavic Pro has a top speed of 40MPH and can deliver a clear video stream from up to 7 kilometers away. That’s of course even better than the transmission range of the Phantom 4. The Mavic Pro has smaller rotors though, making it somewhat less powerful when it comes to flying in winds. The great thing about the Mavic is that it is so popular that all kinds of mods have been developed for the Mavic, so you’ll never ever get bored, or run out of experiments and new things to try with your Mavic. This is one of the really amazing things about the DJI Mavic Pro. Whilst as we have seen in this DJI Mavic Pro review that the drone is really compact when compared to other drones such as the Go Pro Karma, it still has a battery life which is frankly, amazing out of a drone of such a small size. With a LiPo 3S battery which has a capacity of 3830 mAh, at about 11.4V the DJI Mavic Pro’s 240g battery manages to squeeze out 27 minutes of flight time per charge. This means you have a hover time of about 24 minutes, and an overall flight time of 21 minutes until you hit the 15% battery level, which of course is the time when you really should be landing your drone (just in case). Of course, we always recommend that you buy a couple of batteries, especially if you plan to use it multiples times, or just in case you don’t manage to get the shot you were hoping for. This DJI Mavic Pro review has been quite flattering, yet it wouldn’t be factual if we didn’t mention a couple of problems with the Mavic Pro. Here’s what we believe are a few shortcomings of the Mavic Pro. The gimbal cover creates reflection and glare – some users on DJI Mavic Pro Facebook groups have mentioned that the Gimbal cover, i.e. the protection of the camera needs to be removed if you’re planning on taking some serious video or photos. This is because you’re bound to catch reflections from the plastic cover itself. The drone has very little ground clearance – the DJI Mavic Pro does not have any extended or long feet for landing, let’s see similar to those of the Mavic Pro. This means, that if you’re thinking of landing the drone in tall grass, you should think again unless you’re planning to use the drone’s rotors to replace your lawn mower (not a good idea!). Power in strong winds – given that the drone feels so performant and powerful under most circumstances, you might get fooled into thinking that it is more powerful than it really is. However, with it’s smaller size, comes smaller power against the wind. If you’re used to large stronger drones, take extra care! I love this video. I’m a bit of a sucker for extreme outdoor sports but this footage where the Mavic Pro follows these mountain bikers is simply awesome! This is another great piece of footage. I like this because it’s got a real close call with a sort of galleon. I’m not sure whether it’s the collision avoidance system which triggered the sudden rise to avoid the ship’s dangling ropes. Here’s another piece of great footage at Mt. Herman in Colorado. Beautiful. A DJI Mavic Pro review is not complete if don’t mention the $$$ – the current selling price is just shy of thousand dollars. Most places you’ll find the DJI Mavic Pro price at $999. As it is still very early days, you’re going to find it hard to get better prices than this, but if you browse around, you might find a bundle – in this way, although you’ll be paying a little bit more, in all likelihood, you will be getting better value. At this point in time, buying the DJI Mavic Pro is a little bit tricky. It’s going to be very hard to buy it and get in the spot – DJI has been snowed under with orders and there’s been plenty of pre-orders, so chances are you’re going to have to wait a bit until you get your hands on the drone. Having said that, there’s a number of places you can buy the Mavic Pro from. Amazon has always had the great capacity of squeezing the best prices out of suppliers. If you’re looking for the best deal for buying a DJI Mavic Pro, you should look no further than Amazon. Here’s a couple of dealers who are currently taking DJI Mavic Pro orders. 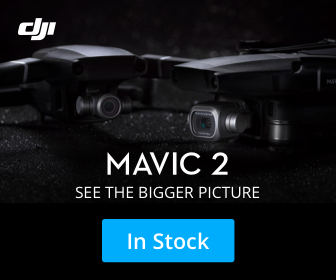 Of course, you can always get your DJI Mavic Pro directly from the website, however, chances are you’re going to be waiting for a while before your drone is delivered. The Mavic is one of those products which are so popular that they have spawned complete industries which are focused on customizing and tweaking your gadget. So essentially, if you want to give your gadget a personal look, rather than the one from DJI, you actually get a skin for this baby. Such sites as Mighty Skins offer a number of great looking skins for Mavic with some of our personal favorites being the Winter Fox, the Magic Pineapple, and the Urban Camo. So when you’ve bought a DJI Mavic Pro, you want to make sure you’ve set it right to obtain the best footage you can get. If you’re still experimenting, you might need a bit of hand-holding. This video here explains very nicely the settings you’ll need to have in place to smooth flying. The drones industry is one of those industries which is still making leaps and bounds in terms of its development. Unlike other technology like smartphones, laptops, screens, where the technology is only slightly incremental, the DJI Mavic PRO is a refreshing change. It’s just way beyond anything we’ve seen so far in drone technology, and we believe we’re still just getting started. For pro photographers, videographers or filmmakers, the DJI Mavic Pro might not be as powerful as the more expensive drones created specifically for this purpose. For everyone else, though the DJI Mavic Pro is the drone to buy. There is nothing quite like it on the market, and we believe there won’t be for a while yet. Very important & very nice your drone website site, thanks to share this Source, it is very useful to someone who need knowledge of DJI Mavic Pro Drone. Really Awesome Drones, I really like DJI MAVIC PRO Drone available in the supermarket. Easy to get more hd videos and photos. Thank you very much.